If all you think Acrobat does is create PDF files, you're in for a big surprise! In this course, you'll discover how to bring together a wide range of content from dozens of programs that you can reuse and customize in Acrobat X Pro. Need to change some text? No problem. Create a new file? That's easy. Add a page from this file and an image from that file? Or add a new page? Not a big deal. You can do all that and more! You'll learn how Acrobat X can automatically find and configure fields on a page to convert it to a form. Then you'll use form tracking to send your form to others to fill in and send back to you, and see how Acrobat X collects the data automatically in a specialised PDF Portfolio. You'll also see how Acrobat X can help streamline the entire collaboration process and simplify how you conduct, control, and manage a document review cycle. You'll even find out how to work in real-time using a chat window in Acrobat X or online using a free Web conferencing room. Finally, you'll discover how to wrap a set of PDF files (and other documents, too) into a PDF Portfolio, complete with a Flash interface and display features, to create the ultimate in customised presentations. In each lesson, you'll work with an important Acrobat X Pro feature or process using source files (available for both Mac and Windows) provided with the course. 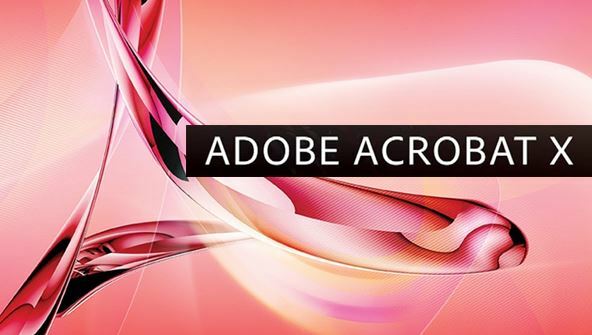 You'll soon see why Adobe Acrobat X has become the best-selling Adobe software of all time! From the moment that you enrol in Adobe Acrobat X Fundamentals you will become an integral part of our learning community. You will experience the perks of classroom studies such as chatting by the water cooler or sharing your opinion on a specific task, all in your own home.